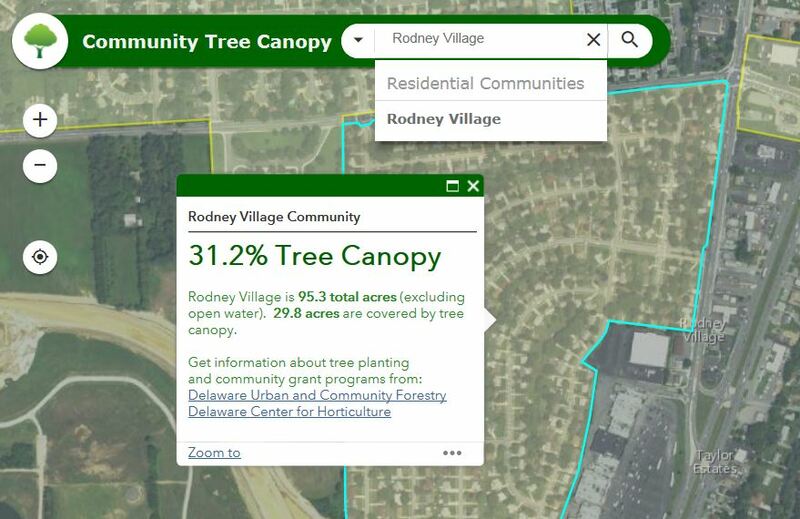 Developed by the Delaware Department of Agriculture’s GIS specialist Jimmy Kroon, the tool covers the entire First State: municipalities, homeowner associations, and neighborhoods can assess their current level of tree cover as a starting point to explore opportunities to plant new trees or maintain their existing ones. Tree canopy is important because trees provide numerous natural benefits for air and water quality, lower heating and cooling costs, a reduction in harmful UV radiation, as well as other environmental and social benefits. In particular, trees mitigate the soil erosion and stream pollution caused by impervious surfaces and storm water run-off in urban areas. Studies show that trees can improve property values and provide scenic beauty, reduce summer peak temperatures, and even improve social ties among neighbors, factors that can help a community attract businesses and residents. One study found a 10% increase in tree cover was linked to a 12% decrease in crime . 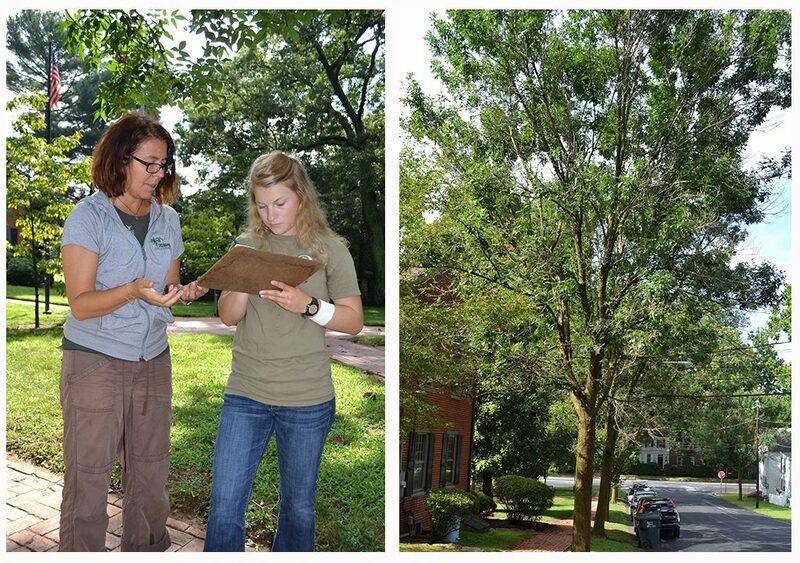 Urban tree canopy (UTC) assessment is used to help decision-makers understand their urban forest resources, particularly how much tree canopy currently exists and the amount that could exist. This enables citizens and public officials to identify “plantable space” to locate trees. The UTC assessment protocols have been applied to dozens of counties, cities, and towns in the United States and Canada. The assessments help inform UTC goals, prioritize tree planting locations, establish urban forestry master plans, and justify spending and potential return on investment (ROI) for urban forestry programs. As part of the Delaware Forest Service’s annual tree grant process, applicants who seek funding for tree removals must provide for the tree’s replacement, a requirement also adopted by ordinances in Rehoboth, Lewes, and Wilmington. Similarly, every municipality that applies for an urban and community grant must also have a tree canopy goal. There are currently tree canopy maps in PDF form for all 57 incorporated municipalities, but the new GIS tool allows those outside municipal boundaries to also be aware of the benefits of keeping and increasing their tree cover. Even homeowner associations can set goals: Tavistock in New Castle County, for example, has adopted a tree canopy resolution. The Delaware Forest Service offers technical assistance on tree planting, lists of recommended trees, site evaluation, tree ordinance, and setting tree canopy goals. 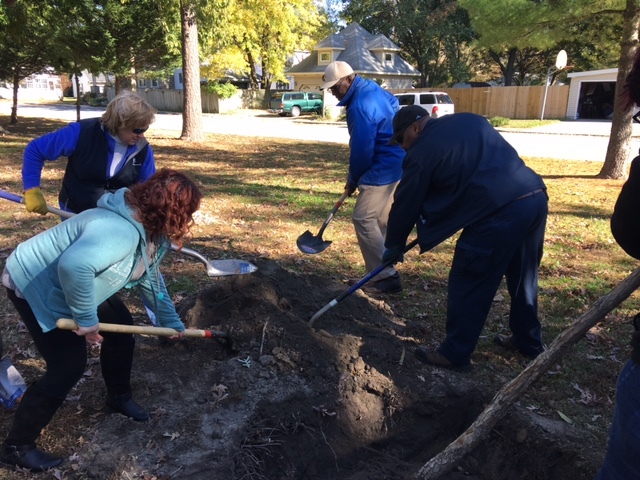 The agency also sponsors a website, delawaretrees.com, where residents can learn about the work of the urban and community forestry program and even read a “Tree Owner’s Manual” to learn about how to select, plant, and care for a new tree.